Flying to Asia for business? Looking to get there in style and comfort? Look no further than Cathay Pacific. 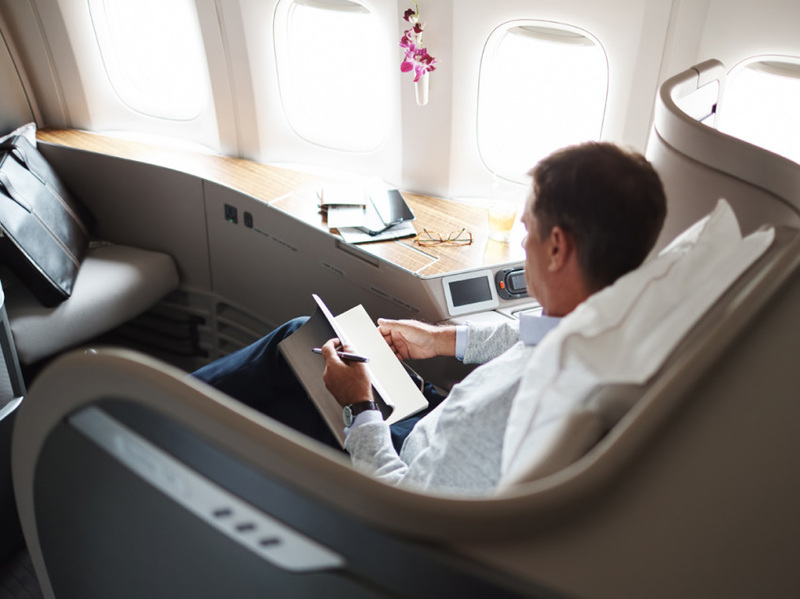 For just 70,000 miles one-way, you can experience one of the world’s top airlines in first class, arriving to your destination fully rested and ready to get down to business. 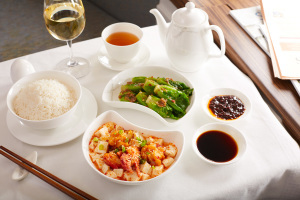 Whether you’re flying from Vancouver or Toronto, Cathay Pacific offers direct flights to Hong Kong on one of the best first class products available. 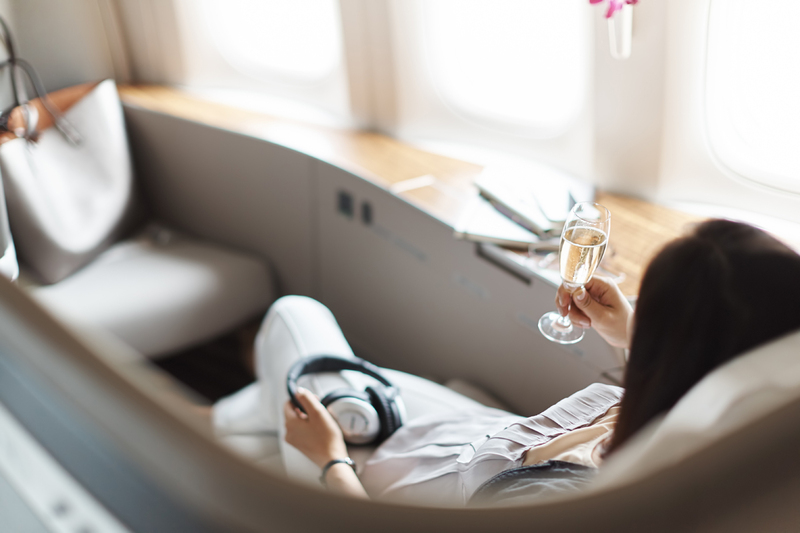 Thanks to the Alaska Airlines Mileage Plan and American Express Rewards, it’s easier than ever to book yourself into Cathay Pacific’s world-class product. First, you’ll need to earn the miles, which can be done with a number of credit cards such as the MBNA Alaska Airlines Mastercard or the American Express Business Gold, and then you need to redeem online, over the phone, or by using a rewards booking system like the one we offer here. You’ll also want to decide on the rewards program of choice as the miles/points from the two programs cannot be combined. If you earn the miles through Alaska’s program, you can redeem for Cathay Pacific through the Alaska Mileage Plan. If you earn with American Express, you’ll need to transfer the points directly to Asia Miles, which is the rewards program of Cathay Pacific. Another benefit of flying Cathay Pacific to Asia is that you can include a free stopover in Hong Kong (if it’s not your final destination), which is home to two of the world’s finest VIP lounges: The Pier and The Wing. Both lounges are only for first class travellers, which means they’re as luxurious as it gets. If we had our choice however, we’d go with The Pier, although the cabanas at The Wing look pretty incredible. Located on level 6 in terminal 1 at Hong Kong Airport, you’ll find The Pier, which houses a beautiful in-house spa with massage services, a fully-equipped bar with some of the world’s finest spirits and wine, world-class Asian and international food, and private day suites, which are a great way to relax in-between flights thanks to their comfortable daybeds, reading lights, and privacy curtains. All of these exquisite amenities are coupled with a soothing environment made up of Cathay PAcific’s lavender, bamboo, green tea, and jasmine fragrance, as well as quiet acoustics and ambient lighting. The Wing, located in the south departure hall transit area, is also a work of art, which includes private temperature-controlled cabanas with baths and rain showers, as well as fine food and a champagne bar. You’ll also find a fine-dining restaurant that will tantalize your taste buds, and a fully equipped workstation complete with phones, printers, and high-speed web access. The only drawback of Cathay Pacific first class is that you may never want to leave the plane…or the airport. It’s that good. 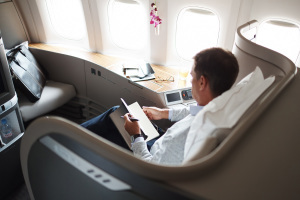 If you’re short on miles and still want added comfort, consider business class, which is only 50,000 miles one-way from Canada to Asia. Don't subscribe All Replies to my comments Notify me of followup comments via e-mail. You can also <a href='https://www.creditwalk.ca/comment-subscriptions/?srp=4975&srk=2648578ecea05c83754707575dc5a494&sra=s&srsrc=f'>subscribe</a> without commenting.